Why Invest in the Booming FinTech Business in China? 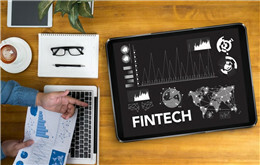 FinTech (financial technology) refers to computer technology that facilitates companies in managing financial aspects of the business. The innovative technology competes with traditional financial institutions including banks in the delivery of financial services. It has become an integral part of delivering cost-effective financial services to consumers all over the world. Globally, the FinTech is a thriving sector with investments amounting to $31 billion in 2017 alone. The sector is slowly tearing down the old financial structures and providing innovative solutions by leveraging the use of technology. When it comes to investing in a FinTech business, one of the best destinations is China. FinTech investment in China amounted to $2.8 billion last year. The average investment in this sector in the past two years amounted to $6.4 billion. The number of FinTech deals increased to about 146 in 2017, which reflects the active FinTech ecosystem in China. In this article, we have presented a detailed analysis of the FinTech business in China. Also, you will find out the reason for the growth in this sector and how to invest in the sector. FinTech business is booming in China. Technology has created a platform for small enterprises to compete with equal footing with larger companies in providing financial solutions to consumers. In order to understand the opportunities presented by the sector for foreign investors, you should know about the status of the industry, the wider market, the key players, and the regulatory environment for FinTech business in China. FinTech is generally set up as a small business in China. The sector is relatively new with the majority of companies comprising of startups. A close look at the sector will reveal that the FinTech business models are thriving in the country. The sector is delivering a range of innovative services with successful results. The growth curve for most of the FinTech businesses in China has been meteoric particularly in the peer to peer lending. Key FinTech sectors in China include the following. Of the 27 FinTech companies that are considered unicorns or having valuations in excess of $1 billion, nine are based in China. There has been considerable investment growth in the sector in the past five years. 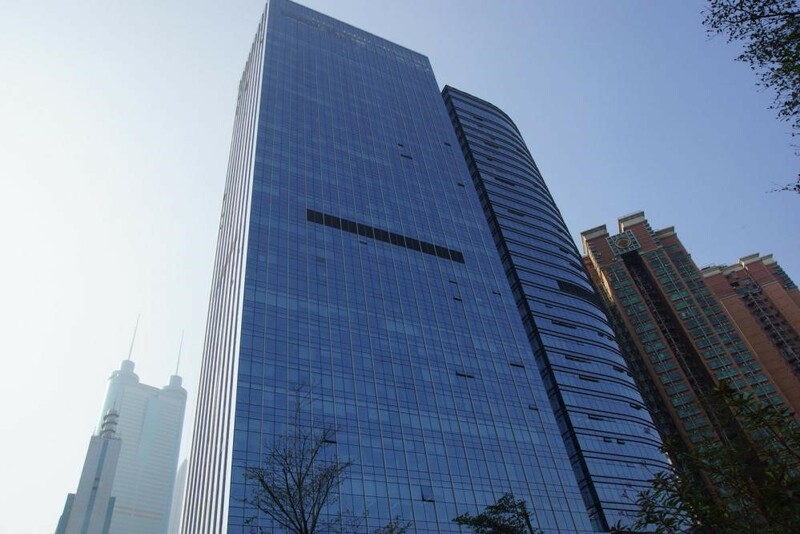 After a relatively modest year in 2014, the FinTech business in China has grown rapidly. Between the period 2014 and 2016 investment in FinTech businesses in China has increased from $500 million to about $6.4 billion. This clearly shows that there is a lot of potential to earn a high return on investment in this sector. A report by a UK firm has revealed that the investment in the sector has increased significantly from the 2013 benchmark amounting to RMB856 billion today. The increase has been largely in the peer-to-peer lending sector where investment amounted to RMB10.825 billion. There has been a lot of interest in the Chinese FinTech space by global venture capital (VC) investors. The investment has increased significantly showing a double-digit increase. In 2016, China had overtook the US in global FinTech investment market. Various reasons can be cited for the phenomenal growth of FinTech companies in China. The country's unique technology ecosystem has accelerated the development of the FinTech miracle. The country has a tech-savvy population, relaxed regulatory environment, and lack of barrier to entry in the financial sector. The unsophisticated banking system in China stands in contrast with the well-developed infrastructure of the FinTech companies. Most of the existing financial companies are state-owned that focus on meeting the needs of state-owned enterprises in China. This weakness in the bank lending can be attributed to the lack of credit history and collateral among SMEs. The rapid urbanization process has resulted in a great demand for financial services. However, the fact is that the financial sector is largely underdeveloped. This has spurred the growth of the need for financial services in the country. FinTech firms fill the gap providing services to both enterprises and individuals in China. Online lending and mobile payments address spending and credit demands and are the two popular segments with great potential in the industry. Another reason for amazing growth in the FinTech sector is the rising income of the middle class. Around 225 million households earned between $11,500 and $43,000. This entire group rivals the entire population of the US, which is around 323 million. There are more than 772 million internet users in the country that is more than the entire population of Europe. Most of them use mobile devices to access the net. Regulations are yet another reason for the growth in the FinTech business in China. Between the period 2013 and 2015, regulations in China was lax that let to accelerated explosive growth in the sector. China is in a phase of transition to a consumption-led economy. The government is highly supportive of any innovation that increases consumption habits of consumers, which is where FinTech plays an important role. Experts state that regulatory arbitrage was one of the key reasons that allowed FinTech businesses in China to flourish. In order to reduce the risk of fraud, the government had subsequently introduced new regulations regarding the sector. Social interaction with technology is also a reason for increase in the demand for FinTech businesses in China. WeChat that was introduced in 2013 had been adopted by a large population base. Today there are nearly 889 million active users of the online chat. The unique aspect of this chat app was that it allowed the 'socialization of finance' through red packets that represented digital cash. A lot of observers think that the chat software created a cultural phenomenon that paved way for the adoption of FinTech services in the country. The popularity of online companies such as Alibaba and other e-commerce sites paved the way for FinTech firms. Consumers flock to online marketplaces such as Tmall and Taobao owned by Alibaba. The internet and mobile boom encouraged Chinese consumers to use online services that replaced traditional retail infrastructure. The e-commerce firms were the precursor of the rise of FinTech companies in China that focus on online payments. Alipay was one of the first FinTech platforms that were introduced by Alibaba group. The payment platform had served a parallel to Paypal and eBay payment platforms. The proliferation of online companies and payment platform was the key factor for the explosive growth of FinTech companies. Today there is a wide gap between the demand and supply of FinTech services in China. There are only a few companies that offer third-party payment platform. Alipay had owned about 51 percent share while Tenpay had about 33 percent share. Together the two companies own 84 percent share in the market. The industry is in its infancy stage at the moment. This is despite the fact that there has been a phenomenal growth in the sector. The digital revolution in the financial services is still continuing. This presents a great opportunity for FinTech businesses in China to earn above average return on investment. The digital disruption in the sector has the potential to reduce the relevance traditional financial institutions. FinTech businesses in China can help create a financial structure that is convenient for consumers. They can help create faster, better, and cheaper financial services for Chinese consumers. This will make them an essential backbone of both industrial and commercial sector. Foreign investors can benefit in many ways by investing in the FinTech sector in China. Tech companies including small and medium-sized companies enjoy tax preferences and many other government incentives. The government provides tax benefits to venture capital (VC) firms to encourage them to invest in start-up companies. Tax incentives for qualified tech companies include a reduced tax rate of 15 percent, which is 10 percent lower than the standard rate. Also, special economic zones allow income tax exemption for the first two years and 50 percent reduction in taxes for three additional years. The tax rate for qualified low-profit companies is 20 percent. The taxable income amount can further be reduced in case the annual income is below a certain threshold. A VC firm that invests in a small or medium-sized FinTech company for two years or more can offset more than 70 percent of the taxable income. How to Enter the FinTech Sector in China? Foreign investors should make smart investments while fully embracing the collaboration and openness of Chinese economy. There are various ways foreign investors can partner with a local company to gain a foothold in the market. These include foreign forming a joint venture (JV) or Foreign Invested Partnership Enterprise (FIPE). 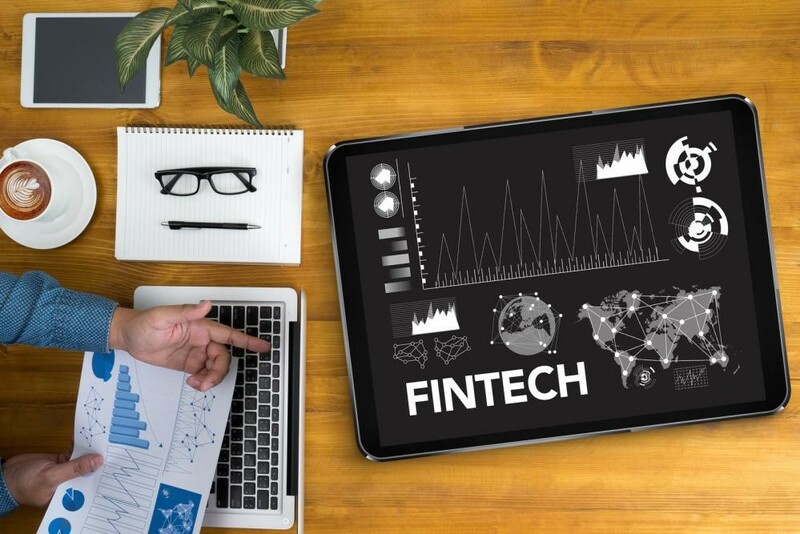 According to international financial firm Earnest and Young (E&Y), foreign investors can make the most of the opportunities of the booming FinTech sector in the following two ways. The venture capital firms in China can help local startup companies thrive and accelerate the process of expansion and growth of the FinTech sector. For instance, they can enter the property rental market allowing users to rent apartments using an app. Also, they can sell different financial products to the local consumers. Companies that are not usually regarded as part of the FinTech industry can also benefit from the FinTech boom in China. Companies specializing in artificial intelligence (AI) and Big Data will experience increased demand from the bigger players such as AliPay and Tencent resulting in high profitability. There are different regulatory requirements that must be fulfilled to enter the FinTech sector. The People's Bank of China had introduced new regulations on March 21, 2018. The new regulations are more specific and clear regarding access to the digital payment market in China. • Comply with all the local, national, and government requirements regarding operational risk management, corporate governance, and management of funds. The Internet has allowed small businesses to make a large impact. If you realize the importance of internet and e-commerce technology today, it will be easier to understand the importance of FinTech that is paving the way for future success in China. Keep in mind that you should not make big investments at the start to instantly drive huge revenue. This can be a costly mistake. Investing in the emerging markets such as China entails certain risks. You should avoid investing a large sum at the start, and start by investing slowly as you gain profit. In this way, you will be able to build a business relationship and you will avoid losing too much money in case things don't go according to plan. The fact is that Chinese laws can be quite complex. You need to know about the anti-monopoly law and the regulations regarding foreign investors merging with or buying a domestic FinTech company. To make the most of the opportunity in China, you must join hands with a locally based company. This is necessary to ensure that the process of setting up a FinTech business in China is quick and streamlined. It will help in avoiding fines and other penalties for not complying with the local rules and regulation.